This remarkable pendant is blazing with fiery F color and VS clarity princess cut and baguette diamonds. There are 0.46 carat total princess cut diamonds that are invisibly set into the center of the pendant with dazzling baguette diamond �rays� that spring forth from the center and up the bail. 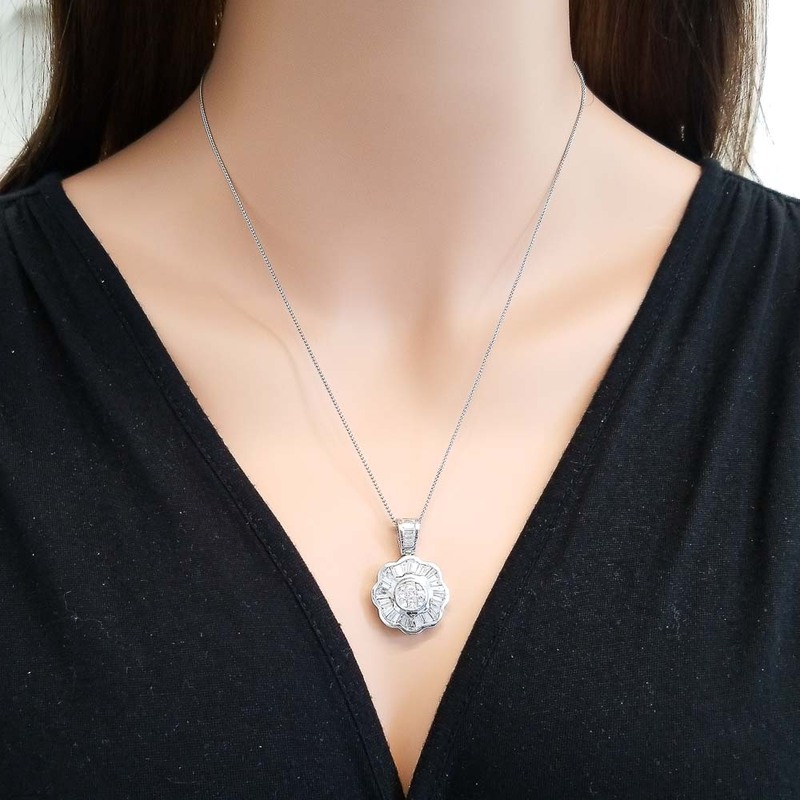 The mounting is fashioned of luxurious 18 Karat white gold and features attractive scalloped edges which adds interest and elegance to the piece. Perfect for a lover of the sun or flowers. This pendant accompanies with a 14 Karat, 18-inch bead chain of your choice of Rose gold, White gold, or Yellow gold.